Where are the Bible lands today? Where were Iraq and Iran in Bible times? The answers to these questions and many others are found in the bestselling ebook Then & Now® Bible Maps. This full-color, reference tool contains 17 Bible maps that show ancient cities and countries in black with modern-day boundaries marked in red. 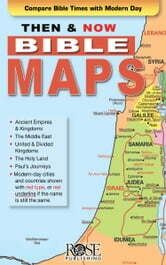 Then & Now® Bible Maps is fantastic for comparing places in the news with places in the Bible. 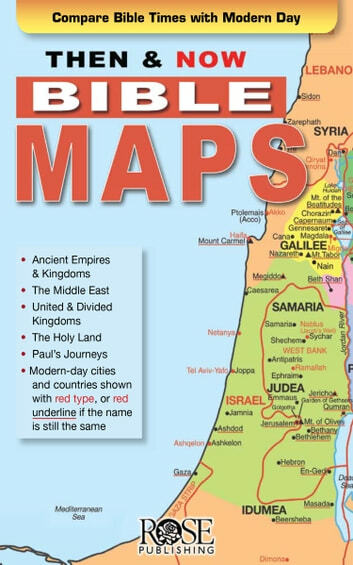 Then & Now® Bible Maps will help you better understand the events and stories in the Bible by showing you where they occurred in conjunction to modern day locations. Your Bible study becomes more meaningful when you learn the location of Old Testament Persia and see the places Paul's first missionary journey would take him if traveling the same route today. You will also better understand the biblical context of the places that are in the news every day, like Syria, Lebanon and Macedonia. You will find Then & Now® Bible Maps is a very useful supplement as you learn more about the Scriptures.